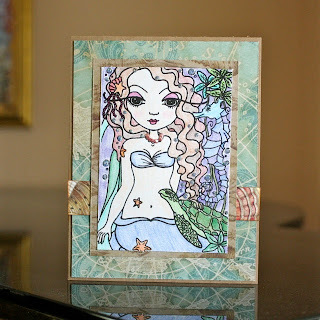 I am loving Maigan Lynn's Ocean Friends digital stamp. I have two cards that use this stamp. 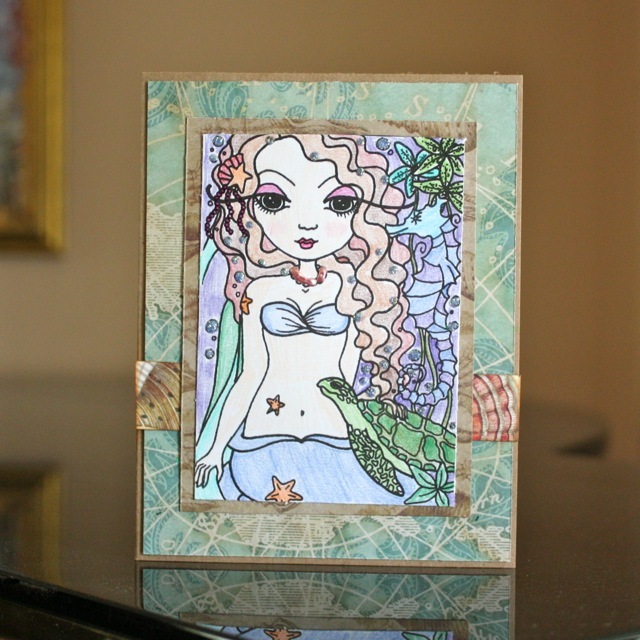 You can see that this card can be colored to give a soft look or a more bold look. Next week I will show you a more bold look in an art journal page that I prepared. Both of these cards fit into a standard 4 1/4 inch by 5 1/2 inch format. Both of these cards were colored with colored pencil and are really soft looking, all occasion cards.